This thoughtful piece by Dr Alexander Morrison was originally published on EurasiaNet, and will be of interest to any traveller to Central Asia. Dr Morrison was Professor of History at Nazarbayev University in Astana and is now a Fellow in History at New College, Oxford. His articles for EurasiaNet always make for interesting reading. 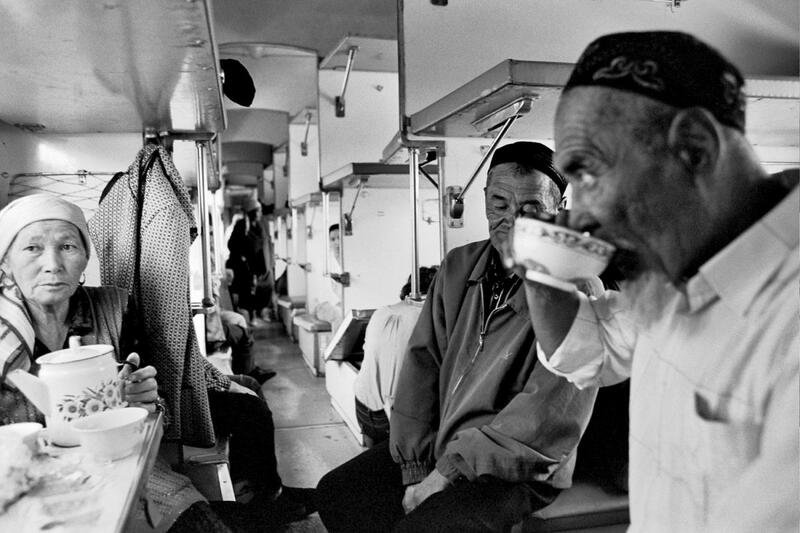 Travelling one evening on the train from Astana to Almaty in Kazakhstan, I got chatting with the other three people in our four-berth compartment. This kind of enforced sociability is often a joy of travelling in the former USSR. On this occasion my travelling companions were a young Russian man, a young Kazakh woman, and a grandmotherly figure whom I also took to be Russian. When they discovered I was British, the Kazakh woman announced that her great-grandfather had been an Englishman. At first I was skeptical, but she explained that he had been an engineer working in the oilfields around Guryev (modern Atyrau) before the revolution, had married and remained after the Bolshevik takeover, and then been purged in the ‘30s. There was nothing implausible about this story – lots of foreign engineers worked in the mines and oilfields of the Kazakh steppe in the last years of tsarism. This got us talking about ancestry, and the extraordinary mix of peoples in Kazakhstan. This was personally important for all of them – the Russian man was married to a Kazakh, the elderly lady whom I had thought was Russian had a German father and a Tatar mother. The Kazakh woman with the British great-grandfather was married to a Chechen. Here in microcosm was the diversity produced by two decades of deportations to Kazakhstan, and by migration to the Virgin Lands scheme which followed, what in Soviet times was known proudly as the "planet of 100 languages". In one sense that term is misleading. We were all speaking in Russian. 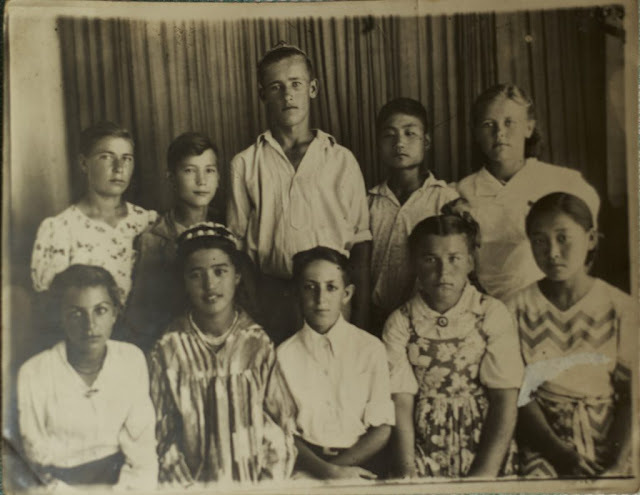 Most of the different peoples deported by Stalin to Kazakhstan and elsewhere in Central Asia – Poles, Germans, Latvians, Lithuanians, Koreans, Crimean Tatars – had become Russian-speaking within a generation if they were not so already. However the diversity expressed in the idea of 100 languages is real. When the Kazakh poet Olzhas Suleimenov gave a famous speech in Semipalatinsk in 1989, announcing a movement against nuclear testing nearby, he made the point that the terrible effects of 30 years of tests on the local population could not be called a "genocide", because that referred to the extermination of just one people. In Semipalatinsk radiation was killing "every one of the 100 nationalities of which we were so proud". Northern Kazakhstan is perhaps an extreme example of the ethnic and cultural hybridity that could be produced by Soviet rule, but similar blended identities are common from the Baltics to the Caucasus to the USSR’s great cities – Baku, Kiev or Tashkent. The Soviet Union was a high modernist project, which sought not just to sustain superpower status through economic development, military might and internal repression, but to create a new type of human being – Homo Sovieticus, "Soviet Man". all nationalities of the USSR! The meaning of this is slippery. 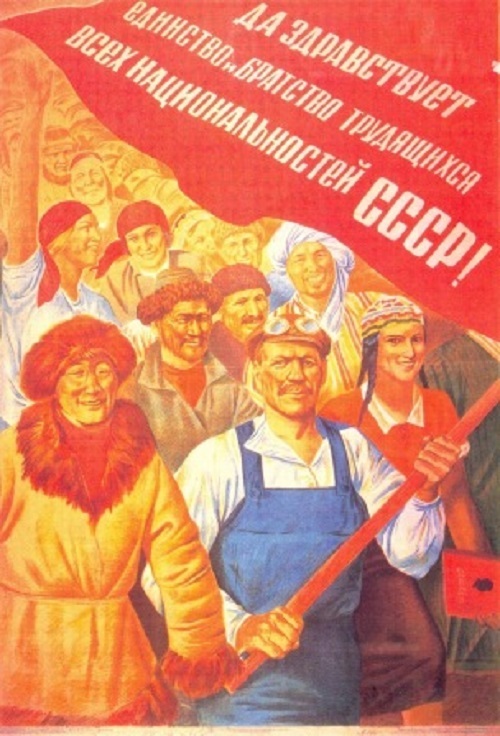 The official version was that “Soviet Man” would transcend petty divisions of nationality, class and politics as the different peoples of the USSR were forged into a single, classless, ideologically unanimous Soviet people. This was to be achieved through education, economic development, and ideological indoctrination. In practice the Soviet state’s grasp of its people’s aspirations and imaginations became more and more feeble after the 1960s. Nevertheless, something we might call Homo Sovieticus did come into being – a product not so much of indoctrination as of mobility. Stalin’s deportations were the most brutal and sweeping case: deporting entire nationalities and dumping them in Central Asia. Under Khrushchev these movements became more voluntary – of young enthusiasts to the “Virgin Lands” of Kazakhstan, or technicians to cities. These migrations overlaid and sometimes reinforced earlier patterns of migration from before 1917. When the new fishing port of Aralsk was opened on the newly constructed railway from Orenburg to Tashkent in 1905, it was populated by Bessarabian fishermen who migrated there from the Danube delta. The Russian empire was like its British and French counterparts in that it produced a bewildering cosmopolitanism in its great cities. Pre-revolutionary Baku, with its mixed Armenian/Azeri/Jewish/Georgian/Persian/Russian population, could easily stand comparison with Bombay or Alexandria in this regard. This cosmopolitanism persisted into the Soviet period when it became the capital of Soviet Azerbaijan. Mingled populations are characteristic of empires, and they have suffered harshly from the nationalist dogmas of the 20th and 21st centuries, which decreed that Bombay belonged to Marathi-speaking Hindus, and that there was no longer any place for Greeks or Jews in Alexandria. In some ways the Soviet Union held the tide of nationalism at bay for longer than might have seemed possible in 1917. Paradoxically it did so by conceding considerable ground to the principle of nationality, exemplified in the structure of the 15 Soviet republics: "national in form, socialist in content" seems an ironic slogan now because nationalism has proved so much more durable than communism. However not everyone fit into the national categories recorded in Soviet passports, and not even the bewildering complexity of union republics, autonomous republics and autonomous oblasts could capture the full complexity of Soviet identity. Not only did multiple peoples live alongside each other in ways that defied territorial definition – they also intermarried across religious and ethnic boundaries, and produced new identities. Nowhere was this truer than Ukraine and Kazakhstan. 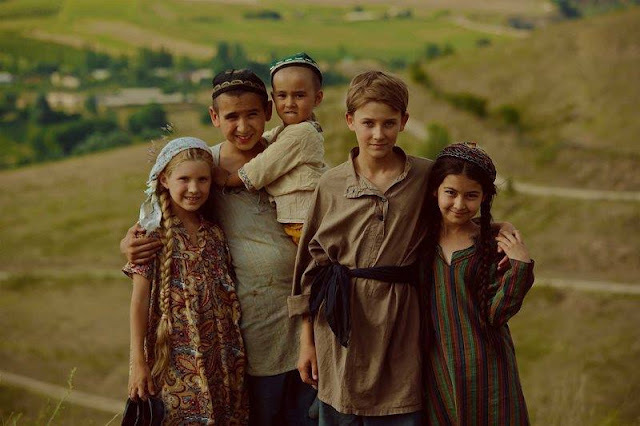 What is now eastern and southern Ukraine, which until the end of the 18th century had been home to small populations of Turkic nomads and mixed Turkic/Slavic Cossacks, became a destination for multiple migrations. Russians, Ukrainians, Greeks, Romanians, Bulgarians and Jews blended into a Russian-speaking – but not straightforwardly Russian – population. Part #2 of Dr Morrison's article will be published in the near future.